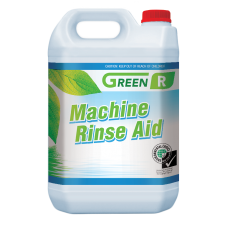 QualChem is a hands-on New Zealand owned business. We are proud that our GreenR range of cleaning products carry the approval of the Environmental Choice New Zealand label. 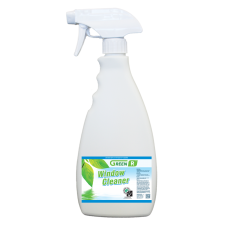 Endorsed by the New Zealand Government, Environmental Choice New Zealand recognises the effort by manufacturers to reduce the environmental impacts of their products. 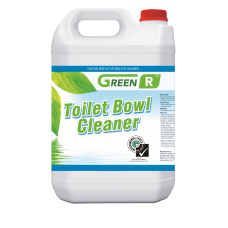 Environmental Choice New Zealand is a credible and wholly independent guide to support you in purchasing products that are better for the environment. And that's definitely QualChem GreenR. GREEN'R AUTOMATIC DISHWASH LIQUID is a red coloured liquid detergent for automatic dishwashers.PRODU..
GREEN'R CITRUS CLEANER 20L is a clear orange, alkaline, all purpose, hard surface cleaner based on D..
GREEN'R CITRUS CLEANER 5L is a clear orange, alkaline, all purpose, hard surface cleaner based on D'..
GREEN'R LEMON DETERGENT 20L is clear viscous liquid detergent with a pleasant lemon fragrance for th..
GREEN'R LEMON DETERGENT 5L is clear viscous liquid detergent with a pleasant lemon fragrance for the..
GREEN'R LIQUID LAUNDRY 20L is a pale blue, viscous, pleasantly scented concentrated commercial grade..
GREEN'R LIQUID LAUNDRY 5L is a pale blue, viscous, pleasantly scented concentrated commercial grade ..
GREEN'R LIQUID SOAP 20L is viscous pink lathering hand soap with a lasting fragrance.PRODUCT FEATURE..
GREEN'R LIQUID SOAP 5L is viscous pink lathering hand soap with a lasting fragrance.PRODUCT FEATURES..
GREEN'R NEUTRAL CLEANER 20L is a clear green neutral detergent. 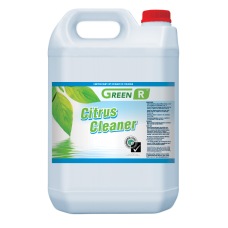 An ideal interim floor maintenance c..
GREEN'R NEUTRAL CLEANER 5L is a clear green neutral detergent. 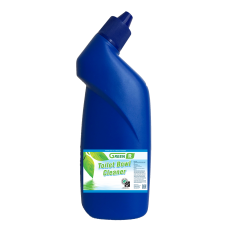 An ideal interim floor maintenance cl..
GREEN’R OVEN CLEANER is a clear, environmentally friendly, non-caustic, powerful cleaner for cleani..
GREEN'R RINSE AID is a clear, blue coloured liquid rinse additive for automatic dishwashers.PRODUCT ..
GREEN'R SPRAY & WIPE 20L is a clear blue, all-purpose spray and wipe with a pleasant fragrance.P..
GREEN'R SPRAY & WIPE 500ml is a clear blue, all-purpose spray and wipe with a pleasant fragrance..
GREEN'R SPRAY & WIPE 5L is a clear blue, all-purpose spray and wipe with a pleasant fragrance.PR..
GREEN'R TOILET BOWL CLEANER 20L is a blue viscous mildly acidic thickened toilet and urinal cleaner ..
GREEN'R TOILET BOWL CLEANER 500ml is a blue viscous mildly acidic thickened toilet and urinal cleane..
GREEN'R TOILET BOWL CLEANER 5L is a blue viscous mildly acidic thickened toilet and urinal cleaner w..
GREEN'R GLASS CLEANER 20L is an ammoniated clear blue alkaline window and glass cleaner, which produ..
GREEN'R GLASS CLEANER 500ml is an ammoniated clear blue alkaline window and glass cleaner, which pro..
GREEN'R GLASS CLEANER 5L is an ammoniated clear blue alkaline window and glass cleaner, which produc..